A Canadian based Web Design Studio specializing in small to medium sized websites & mobile compatibility. We provide the perfect blend of functionality and creativity. 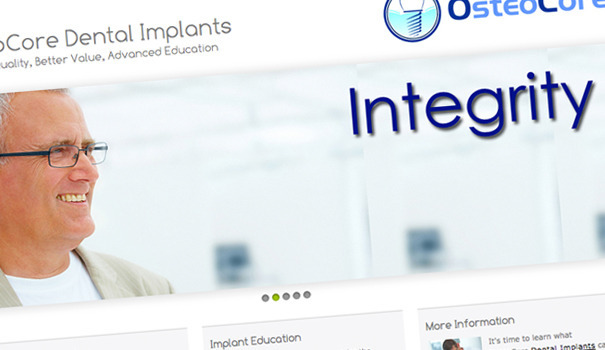 A screenshot for a Dental Implant company based in the USA, we were involved in designing and coding.